We are an innovative company that cares about you. We are established to teach people how to choose and live active healthy lifestyles. Our goal is to help you look and feel better with the use of our innovative/world-class products and health/fitness coaching. 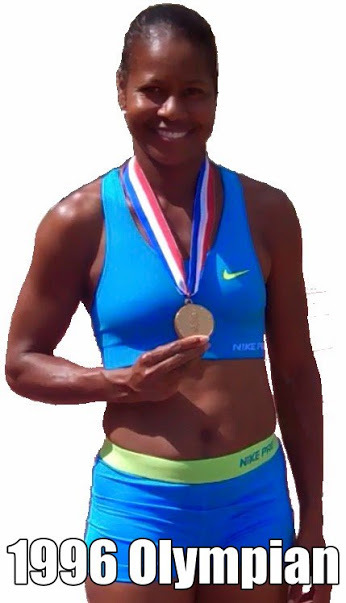 As founder, director, and boss lady of the Althea Moses Health & Fitness Company, Althea is a Jr Olympic gold and silver-medalist and 1996 Olympian in track/field,#1 international – bestselling author, consultant, speaker, creator of the ALTHEA exercise and inventor of the Circlemark, former personal coach for Ready, Set, Gold! and First Lady, Michelle Obama’s former Let’s Move! programs – designed to fight childhood obesity & upgrade neighborhood patterns of fitness, nutrition & wellness. Althea has created a vital enterprise that’s devoted to empowering inactive and active people, globally. She enjoys training professionals, entrepreneurs, stay at home moms, and anyone who focuses, works hard and smart to get the maximum benefit from her health and fitness programs. For the past three decades, Althea has achieved much in her education, athletic & professional careers. On her journey, she learned how to choose and live an active, healthy lifestyle to feel and look better. Althea enjoys serving people with her health & fitness knowledge and skill sets. She’s passionate about teaching, coaching, and helping people get results with an Olympian’s touch. Althea’s an innovator and creator. She received incredible ideas to show the world her skill sets and passion. She has been on a mission to share her passion for exercise and teaching people. She has been invited to share her innovation (ALTHEA and the Circlemark) and recognized by her peers for her work. In 2015, The Office of the First Lady Michelle Obama recognized Althea for her innovative exercise, ALTHEA. Nominated for a 2019 L.O.V.E award. Althea Moses Health & Fitness Co. is an innovative company that cares about you. Our mission is to serve people and be beneficial in their lives, so they and their families can live better. We teach and coach our clients how to choose and live active and healthy lifestyles while assisting to reach their goals of looking and feeling better – through use of our innovative world-class techniques, exercise, and proper health and fitness training.